DIESEL FUEL INJECTOR SET MAZDA BRAVO WL / WLT FORD COURIER 2.5 LITRE.NEW. Fuel injector rail spacer / insulator, Mazda MX-5, B67513158, USED. 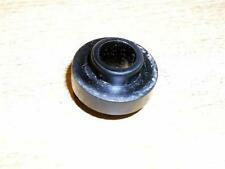 Used fuel rail spacer / insulator. Goes between the fuel rail and the inlet manifold. These often fall off and disappear when the fuel rail is removed. Fuel pressure regulator, MX-5 1.6 & 1.8 mk2.5, USED. This is the one from the end of the fuel rail. Fuel pressure regulator, MX-5 1.6 mk2, USED. MAZDA 6 Fuel Injector. 2005 MAZDA 6 which we are dismantling. HS1-9, IV40-51, IV55-56, KA27, KW15-17, PA20, PA41-49, PA60-78, PH42-44, ZE1-3. AB30-38, AB44-56, FK17-99, G83, IV1-28, IV30-39, IV52-54, IV63, KW1-14, PA21-40, PH15-26, PH30-41, PH49-50. Used wiring harness for fuel injector rail. Wiring harness, fuel injector loom, Mazda MX-5 mk2 1.6 & 1.8, NC1067080D, USED. Wiring harness, fuel injector loom, Mazda MX-5 mk2 1.8, NC1067080D, USED. Plugs in to the main loom at the back of the engine. Year: 2009. This is a used part which has been tested on vehicle and is in good working order from the following vehicle:-. Part Numbers as follows. RF7J13GC0, RF7J 13 GC0, RF7J-13-GC0, RF7J-13GC0. 2006 MAZDA 5 Injection Rail. Factor Number: HFIR2512 FUEL INJECTION RAIL. Part Type: Injection Rail. This item has been removed from a: 2006 MAZDA 5. Fuel type: Diesel. Fuel Rail with Regulator. Mazda RX-8. Fuel Injector Rail. Mazda RX-8. FUEL INJECTOR 13B EGI NON TURBO. MAZDA RX7 FC (1985 to 1989). 2007 MAZDA MX5 Injection Rail. This item has been removed from a: 2007 MAZDA MX5. Model: MX5. LFE3-13-150, Petrol this is complete with all injectors. Fuel type: Petrol. Part Type: Injection Rail. Make: MAZDA. Used, tested B5B4 fuel injection pump relay, Mazda MX5 mk2 1998-2005. Relay, fuel injection, MX-5 mk2, USED. Lives in the fuse box under the bonnet. For Sale is an Injection Rail. Part number: FI2BA L8633109 100806. Removed from a 2010 MAZDA MX5 1798cc Petrol 2 Door Convertible. Please see item description for more information, you will receive everything you see in the images. Used wiring harness for fuel injector rail. Wiring harness, fuel injector loom, Mazda MX-5 mk2.5 1.8, N06667080C, USED. Plugs in to the main loom at the back of the engine. Bolts on to the fuel rail. 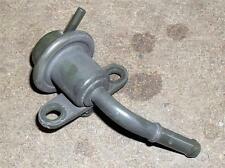 Fuel pressure regulator, MX-5 1.6 mk1, USED. 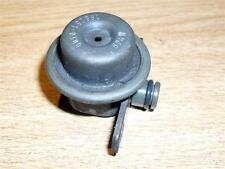 Fuel Pressure Regulator 1.6, this is the one you see in the photo. 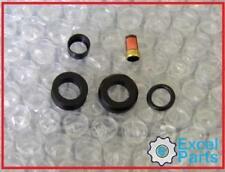 part number B61P 13 280 1100-11B30. Fuel Pressure Regulator Used MK1 MX-5 1.6 Eunos Right hand Drive. All parts are used and from Eunos MK1 Models. R2AA13GC0A, R2AA 13 GC0A, R2AA-13-GC0A, R2AA-13GC0A. 2010 MAZDA 6 Injection Rail. Factor Number: HFIR2510 FUEL INJECTION RAIL. Part Type: Injection Rail. This item has been removed from a: 2010 MAZDA 6. 2009 MAZDA 6 Injection Rail. Part Type: Injection Rail. This item has been removed from a: 2009 MAZDA 6. Fuel type: Diesel. Make: MAZDA. Year: 2009. Vehicle Colour: Grey. Require different parts from this vehicle?. MK2 SPORT BL 2.2 D 6Spd 5 Door. Injection Rail. This part was removed from a Right Hand Drive Vehicle. Compatibility is a guide only. Your item will need to be signed for. Other Details. TRIM LEVEL. AIR FLOW PIPE N326 13 221A. MAZDA RX7 FC (1986 to 1988). GOOD CONDITION. MAZDA RX7 FC (1989 to 1992). GOOD CONDITION. 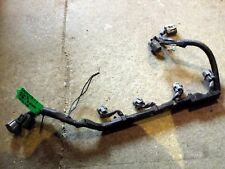 Mazda 6 Mk2 2008 2.0 Diesel Fuel Rail. Wear & Scratch Marks. 2009 MAZDA 6 Injection Rail. Fuel Injection Rail from a 2009 Mazda 6. Part Type: Injection Rail. This item has been removed from a: 2009 MAZDA 6. Fuel type: Diesel. Make: MAZDA. Year: 2009. Vehicle Colour: Red. (MAZDA PREMACY Fuel Injector 0000232939. Other Details: Mk 1 1999-2005 2.0 Diesel 6960 4B. This item was removed from a 2000 vehicle. Jersey, Guernsey, Scilly Isles) as well as for the Scottish Highlands. Mazda MPS OEM Fuel Pressure Sensor. Condition is Used. Dispatched with Royal Mail 1st Class. MAZDA RX7 FC (1989 to 1992). MODEL:- 6 2.0 Diesel. MAKE:- Mazda. All used parts will have signs of wear small marks etc but are sold in working condition. OEM PART NUMBER: 1150 09L 12093. FUEL TYPE: Diesel. MAKE: MAZDA. All engines and gearboxes are tested prior to sale (unless sold as spares or repair). YEAR: 2011. Engines are sold bare unless stated otherwise. VEHICLE GUIDE. REFERENCE THE SALE OF GOODS ACT 1979. (MAZDA PREMACY Fuel Injector 0000232940. Other Details: Mk 1 1999-2005 2.0 Diesel 6960 4B. This item was removed from a 2000 vehicle. Jersey, Guernsey, Scilly Isles) as well as for the Scottish Highlands. R2AA13GC0A, R2AA 13 GC0A, R2AA-13-GC0A, R2AA-13GC0A. 2009 MAZDA 6 Injection Rail. Factor Number: HFIR2510 FUEL INJECTION RAIL. Part Type: Injection Rail. This item has been removed from a: 2009 MAZDA 6. MAZDA RX7 FC (1989 to 1992). IN GOOD CONDITION. Item Specifics:2002-2008 - MK3 - 2.0 DIESEL - INJECTOR PUMP - 2940000420. Part:Injector Pump (High Pressure). This Injector Pump (High Pressure) was removed from a2006 car and has been fully inspected. A5020 11Q 24424. 2015 MAZDA 6 Injection Rail. This item has been removed from a: 2015 MAZDA 6. Year: 2015. Part Type: Injection Rail. Fuel type: Diesel. Make: MAZDA. Vehicle Colour: Grey. MAZDA 2.2D SH01Skyactiv 2012- DENSO Injector SH01 13H50 tested good work condition. MAZDA ORIGINAL FUEL INJECTOR WIRING LOOM HARNESS FOR MAZDA 6 2002-08. Carefully removed from my 2005 Mazda 6 2.3 petrol with 91,338 miles.